Classic Cape Charters is the exclusive boat charter operator of choice with its base in the heart of the V&A Waterfront , Cape Town. 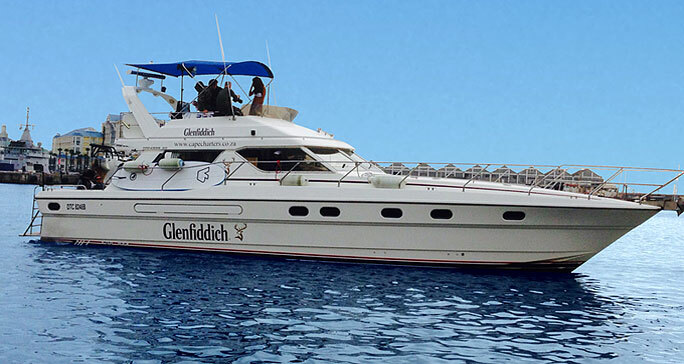 Adrenalin packed tours include Shark Cage Viewing and Diving, Deep Sea Fishing Excursions, Inshore Fishing Charters, Ocean Sailing and High Speed Ocean Adventures. Cape Charters also offers Scenic Harbour Tours, Luxury Cruises, Big Five Safari's, Cape Peninsula and Wine Farm Tours. Slipway and Boat Maintanance Services are also available.